Jailhouse snitches are rarely prisoners who happen to overhear confessions. Inmates apply for the job and they become part of a roster of covert operatives whose surveillance on behalf of law enforcement has put the Orange County, Calif., justice system at the center of a national debate. 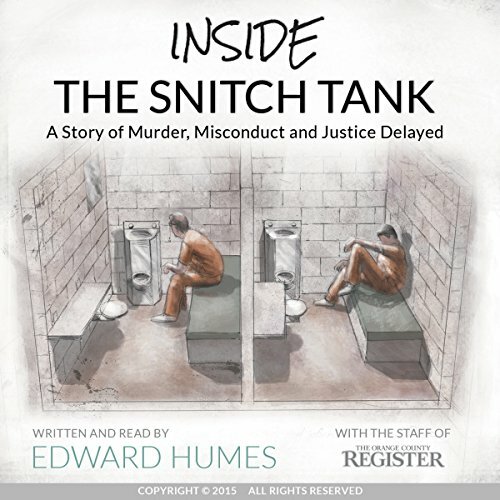 Inside the Snitch Tank was written by Edward Humes, the author of 13 nonfiction books and winner of the Pulitzer Prize for his Orange County Register coverage of the military. The story is based on extensive reporting by the Register's staff, including Tony Saavedra, David Ferrell, Kelly Puente, Tom Berg, and Ian Wheeler; previously published stories; and legal documents obtained by the newspaper since the arrest of Scott Dekraai after the worst mass shooting in Orange County history.